If you, too, have wondered about these things, and want to learn some really cool tips, tricks and tactics to implement upsells in your business, then read this special report carefully. I’ll answer each of these questions – and share a ton of powerful, profitable ideas that will help you boost your email marketing profits effortlessly. It may help if I told you that many entrepreneurs have happily paid $29.95 for this information in the past. And it will surely make you perk up and pay attention when I say that it cost me $5,000 and 26 weeks as an apprentice from a master marketer to learn these concepts. You’re getting them for free. But that doesn’t mean they are worthless. In fact, the only way these ideas won’t be worth a small fortune is if you do nothing with them! So take out a notepad and pencil. Turn off the phone and close all the other tabs open on your Web browser. Focus completely on this report for the next 10 minutes. It may be your best investment of time this year! And if you like this, remember there’s more. And Then Sell Them MORE! Get more folks in the door, get them to spend more money with you, and keep them coming back for more. The most elegant way to optimize your business and streamline your email marketing is to increase the size of each sale. That’s why you should learn how to upsell products. If every buyer increased their purchase by a mere 10%, your profit grows by 10%… because you’re not spending any extra money to attract this customer. UPSELL MEANING: In other words, when you get each buyer to add a little extra to their purchase – by offering an upsell – you’ll grow in income. How does Wikipedia define upsell? 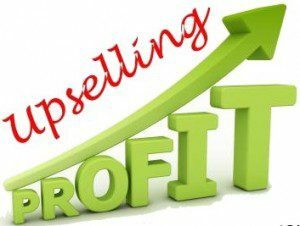 Upselling is a sales technique where a seller induces the customer to purchase more expensive items, upgrades or other add-ons to make a more profitable sale. Getting buyers to do this is EASY – if you follow a process. Does it require genius or skill to upsell? Think of the school-kid behind the counter at your local McDonald’s. Notice how she skilfully leads you to supersize your order? Or add a bag of fries to your Mac meal? With your online business and email marketing, you don’t even need to repeat it each time. You just insert the upsell once into your online sales process or follow up email autoresponder – and your upsell works on autopilot, earning your business cash forever! You can define upsell as a way to sell buyers a little extra of what they’re already buying (like more quantity, or higher value, or greater protection, etc.). The difference between upsell and cross sell isn’t great, and both are excellent ways to boost your email marketing profit. But a cross sell is often an offer of something new that may (or may not) be related to the initial purchase. 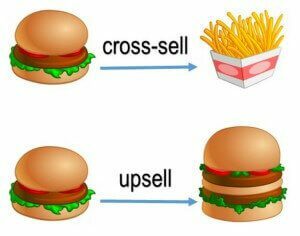 An example might help understand the difference between upsell and cross sell better. 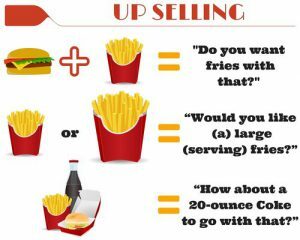 If you sell a bag of French fries – and upsize it to a LARGE bag – that’s an upsell. If you then offer a Coke or a kiddie toy to go along with it, that’s a cross sell. Or you offer a second dozen of eggs at half price to a customer who buys a dozen (an upsell), as well as a loaf of bread and a frying pan (a cross sell). How To Get A 62% Raise! This is an excerpt I posted on a forum on December 26th, 2004 sharing my success in implementing this powerful business optimization technique known as an upsell in my own business. I’ve been reviewing the promotion of my Niche Starter Kit. In the sales process, I implemented one of the strategies about increasing the size of the sale – offering an UPSELL. The regular kit costs $19.95. The upsell to a PREMIUM version is priced at $47. I’ve made 142 sales in total, until now. And… SIXTY-FIVE buyers upgraded to the PREMIUM edition – on the order page! So, that’s how powerful a simple change can be to your sales website (or sales process, or email marketing). Where And When To Upsell? Before you set out to put upsells to work in your business, here are a few things to think over. Consider each element carefully – it may take some testing to get it right, but with a good plan you’ll start making money almost instantly. WHEN to offer an upsell? Timing is important for how to upsell products. Offer to add something to your customer’s order without risking the sale. This is an exercise in tact and understanding. If you’re too pushy or in a rush, you might scare away a potential buyer – and actually lose a sale. On the other hand, if you leave it too late, or don’t make the offer attractive enough, enough people won’t take you up on the upsell. There are different points in the sale at which you can offer an upsell. 1. You can try right when you first ask for the order. Make different packages available, at higher price points. Or bundle together additional products or services. You’ll encourage customers to go ahead with the purchase – at a higher price point. 2. You could wait until the buyer actually reaches the final stage of the purchase, and is about to click on an order button. At this point, s/he has already decided to buy, so you don’t risk losing an order by making an upsell offer. The upside of asking them to spend more outweighs any risk. So you can be a bit more aggressive about your offer. 3. You can even upsell after the order has been placed, but before the payment is finalized. In your shopping cart application, you can let buyers throw in a few extras after they’ve placed an initial order – either before or after you charge their credit card. A buyer with cash (or credit card) in hand is more likely to buy something more – provided you showcase the value in it effectively. 4. You can put off an upsell for later, as part of your post-sales follow up. Your client will have a chance to experience what you’re selling. It becomes easier to get them to order again, in greater volumes, or at a premium, feature-rich version. To make the upsell even more attractive, throw in other inducements like a price discount or extended warranty. Once you’ve seen how easy – and profitable – it is to optimize your home based business with an upsell strategy, you’ll want to do it with EVERYTHING! There are many ways to give your buyers a great deal through an upsell or cross sell, which will increase the size of their purchase and ramp up your profit. 1. You can offer more units or greater volumes. Or offer a discount if they’ll commit to ordering 2 packs every month. 2. You can throw in related products or services. This can be big. It’s a concept that can be applied to any business or industry. Get into your customer’s head. Think about problems they are looking to solve. Then offer them more solutions. They’ll happily pay you for that. That’s how to upsell products. 3. You can extend warranties or offer longer durations for your services. An electronic goods store can include an extra year’s maintenance for a small extra fee. A car wash can include a book of coupons for 10 more car washes at their facility – for a little less than they would charge a drive-in customer. 4. You can bundle products with services… and vice versa. If you’re promoting a search engine optimization service, toss in a guide or course about better website design or content marketing. If you’re selling a book, offer a personal consultation or a lecture to a group – for a higher price. 5. You can enhance the purchase. Buyers use the stuff they purchase. If you can help them use it better, they’ll treasure your assistance – and come back to buy more. You can sell a cleaning solution along with a DVD player, to keep it working well. Or offer a membership to a ‘DVD of the month’ club. Or you can sell buyers a book about graphic design if they buy a graphics program from you. 6. Offer things that extend the life of the item they purchase. If you help them keep it working well for longer, or get more mileage from what they bought, you’ll add value to your customer’s life. A laptop care manual can accompany every computer sale. A knife sharpener will be a nice add-on to an expensive kitchen knife set. 7. You can sell accessories. Do you think tech companies make their profit from selling devices? 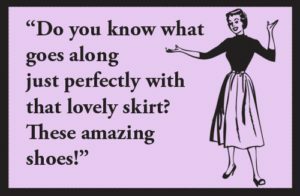 Well, maybe they do – but they make a lot more selling accessories. Get creative. Think of ways to ‘accessorize’ your product or service. Then upsell them to your customers. It’s an effective approach to how to upsell products. 8. You can create special editions and collectibles. This is cool. A special edition of your commodity product suddenly takes on higher perceived value – just because it is exclusive, limited in quantity, or is in memory of something special. Books can have hand-made covers, or be leather-bound – with your personal message and autograph. All of these are “collectibles”… and often sell at price points that are large multiples of the regular retail price. 9. You can sell different formats. If you sell information products, package them as ebooks, print books, audio books, eclasses, web seminars or private access membership sites. If you create music, you can distribute it as streaming audio, DVD recordings, digital downloads or play your songs live at a concert. 10. You can offer critique certificates and phone reviews. These work very well as upsells for information products. Once the buyer has put the information to use, it’s nice to have an expert take a look and offer feedback, or suggest ways to make it better. Make this critique available at a lower price than for non-buyers, and you’ll enhance the value while rewarding buyers for their loyalty. 11. You can create exclusive memberships and associations. Include clients in a group where they can share experiences and get support and assistance. This can significantly add value to many different products and services. And it’s an upsell that buyers will love, especially if they’re terrified of being left out in the cold after purchasing a new product and need help with getting the most out of it. 12. You can run loyalty programs. This simultaneously rewards customers and increases your chance of repeat sales. Think about how airlines offer ‘Frequent Flier Miles‘ and you’ll get the idea. A ‘buyers club’ where you offer periodic discounts and special offers may suit your business model too, and is one approach on how to upsell products. 13. You can provide alerts and updates. In some markets, up-to-date information carries a competitive advantage. Offering ‘industry expert’ alerts or updates can be a seriously valuable upsell in these situations. Stock market swings, caught at the right time, can bring great profits – or avoid huge losses. Latest scores or betting odds give punters precious data to base their decisions upon. 14. You can promise upgrades. By their very nature, some products constantly change or evolve. Software which is cutting-edge today may need to be upgraded or even completely revamped soon. 15. You can establish a system of credits and points. Instead of offering price discounts, you could sell credits or ‘points‘ which buyers can then redeem at a later date against the full selling price of your product or service. In effect, they are insuring themselves against a future price increase – if they ever need to upgrade. Your imagination is really the limit to how far you can take these upsell opportunities. But remember – you have to ‘position’ your upsell strategy carefully. That’s why it is so important to learn how to upsell the right way. Don’t try too hard to force an upsell on your buyers. You don’t want them to feel rushed or even put off from going ahead with the sale. You can afford to lose the upsell – but not the sale itself! Also, if you come across as too aggressive with your upsell approach, you’ll lose goodwill with your customers – and that could prove costly over time. Why Do Upsells Work So Well? By the time your customers are exposed to your upsell offer, they have gained a degree of trust and confidence in your offer. They have, almost definitely, made up their minds to buy from you. At this point – or beyond – when you offer them something more that’s EXTRA value, they’re going to love it. Your upsell offer gives them something more – and that will enhance and extend the benefit (or relief) buyers will get from their purchase. Once you’ve grasped the power of these upsell and cross sell triggers, once you begin to weave upsells into your email marketing and sales process, you’ll be amazed at how well they work. Trust me, you won’t ever want to go back to the ‘old’ way of doing business before! And like any art, it gets better with practice. Your first attempt at an upsell may not be as successful or profitable as you like. But with a little experimenting and testing, you’ll soon have a winning sequence that will expand your profitability – and keep doing it even when you set it hands-free! There are different ways you can make your upsell offer. A simple approach is to just place the deal in front of your customer. There, that isn’t so hard to ask, is it? But of course, such a simplistic approach may not work as well for you. The nature of your business and product/service may require a more scientific, explanatory, attractive way to make an upsell offer. 1. Build the value in your upsell with ‘future pacing‘. Instead of bluntly mentioning your upsell and leaving it upto the buyer to take it or not, you could go a step further to try and convince them. Explain the reasons why they should do it. Weave a story around how your upsell will help enhance their life. Paint a picture of how the future will look. Show them how your upsell fits into that rosy picture. Then, invite them to get it now! 2. Offer an incentive to take your upsell now. The bonus you toss in might be a price advantage, or exclusivity, or any other trigger. An effective way to enhance the perceived value of your upsell is to price it attractively (at a significant discount to the regular price) or make it exclusive (or scarce). “This (the upsell offer) regularly sells for $X, but because you are buying / just bought Product ABC, I’ll let you have it for 25% less”. Want to see a real, live example of this in practice? 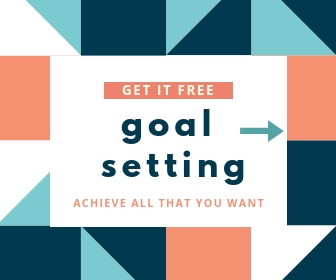 Click here to visit the upsell offer that every new subscriber to my email list receives… it’s a VERY attractive discount on a bundle of extremely valuable guides. Roughly 1 out of every 5 new opt-in email list subscribers take me up on the offer. Maybe you will, too. 3. Make it easy to add the upsell to their order. Your buyer has already gone through some steps (or even all) of your ordering process before coming to the upsell offer. You shouldn’t make them run around in circles to take up your deal. When it comes to learning how to upsell products, you can’t go wrong trying to model the expert. 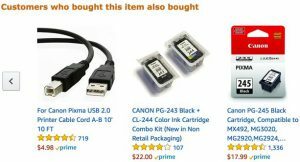 Amazon.com has a nice technological solution that allows a ONE-CLICK upsell. With just a single click on your mouse or phone, you can add new items to the shopping cart – at any stage of the process. An upsell offer that’s easy to accept will have a higher uptake. The harder or more complex it is, the lower will be your response rate. 4. Use a testimonial for your upsell. I have a simple rule. If I can’t sell it separately, by itself, then I won’t try to give it away as a bonus or use it as an upsell. 2. It won’t add much value to their purchase. So, if your upsell is a product or service that you can sell by itself, and you already have clients or members who enjoy its value, get testimonials from them. Then insert these testimonials into the sales process, right at the point where you offer the upsell. Testimonials greatly increase the conversion rate on your upsell offer. 5. Make it available instantly (like a digital download). Another benefit in learning how to upsell products is that you can offer a complementary product or service that can be delivered instantly. Even if the main product is a physical one that needs to be shipped to a buyer (imposing a variable waiting period), your upsell will give an eager customer something right away. They can start using it while they wait for the main purchase to arrive. If you’re selling an ebook, remember many people do NOT like reading a long ebook on a computer screen. They often print it out. Your upsell for an ebook or digital product could be a print/physical version of it. Or an audio recording that customers can listen to while driving or exercising. 7. Explain how it adds value. Educating customers and clients is a very powerful marketing tool – and often one that many businesses ignore. Showcase the pluses of your upsell offer. Explain in detail just how effective it will be in increasing and enhancing the value of the product or service they just bought. Highlight any problems or inconvenience that users will experience by rejecting your upsell. Then reinforce the benefits of the upsell itself. Doing this will increase your upsell acceptance rates, multiply your results – and boost your bottomline. This short report has barely touched upon how to upsell products in your business and optimize your outcomes while maximizing profits. There are dozens of ways to upsell and cross sell. And of course, there are specific phrases, words, and offers that work better. A particular way of articulating and presenting the offer might generate a higher response rate. One kind of upsell may outperform another in individual situations. But getting into more intricate details is beyond the scope of this introductory report, and I will deal with them in a more advanced program soon. If you’d like to be notified about this BUSINESS OPTIMIZATION PROGRAM when it launches, be sure to sign up to our newsletter mailing list. I hope you found this report on how to upsell useful. Please share your feedback. Try out just one of these ideas on your existing sales process. Track your results for a month. Then come back and drop a comment (or shoot me an email) to say how well it worked for you. I’m sure you’ll be amazed. Do not read this report just once, jot down a few notes, and then ignore it. Put them to the test – right away. These ideas may appear simple – but they are extremely powerful. From just a single change in my selling process and learning how to upsell products, I added 62% to my net profit… and that’s from one promotion. Imagine how much more you will make if you take action on even a few of these upselling opportunities and ideas. So, go on and do it right now. I’ve given you some valuable information in this report. But I want to give you even more. I want a deep following for my blog and writing, not a wide one. I’d rather have 100,000 passionate and loyal readers than a million who don’t care. And I want YOU in my ‘Inner Circle’. My most loyal blog readers are a special group. They are really important in my life. And in the lives of many little children. Kids born with life-threatening heart defects, needing expensive treatment they cannot afford. A large share of the profits from my online sales go to fund heart surgery for under-privileged children. A non-profit I set up in 2001 has raised over $130,000 and sponsored treatment for 137 children until today. See this page for more information: click here. Readers like you have helped save those young lives. That’s why I would be honored to count you among them. I want you to read all my blog posts and books. Benefit from them. Build your own profitable information business online. Earn a healthy profit. Maybe use a part of it to solve the problems in our world. Even sponsor a child’s heart surgery yourself. The Business Optimization Series is a steadily growing collection of informative, educational and inspirational writing that’s designed to help you build a successful online business and turn words into wealth. You can read them all right here on my blog..
Don’t miss any of the other 8 business optimization reports in this series. Sign up to our mailing list and get notified as soon as each one is published.